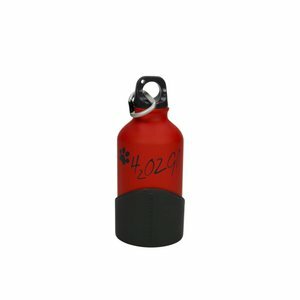 A sturdy aluminum red water bottle with a handy detachable drinking cup for the dog, available in two sizes. 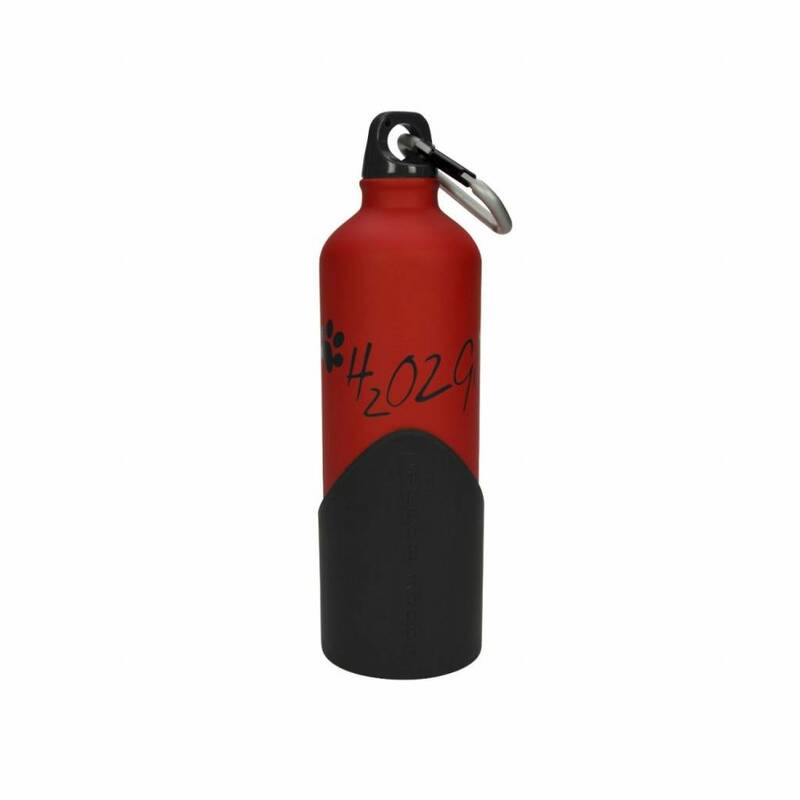 The sturdy red H2O2GO water bottle can be used anywhere when you go out with your dog. Water is very important to the dog, especially if you go outside in warmer weather. Do you always take enough water with you to prevent any dehydration of your dog? 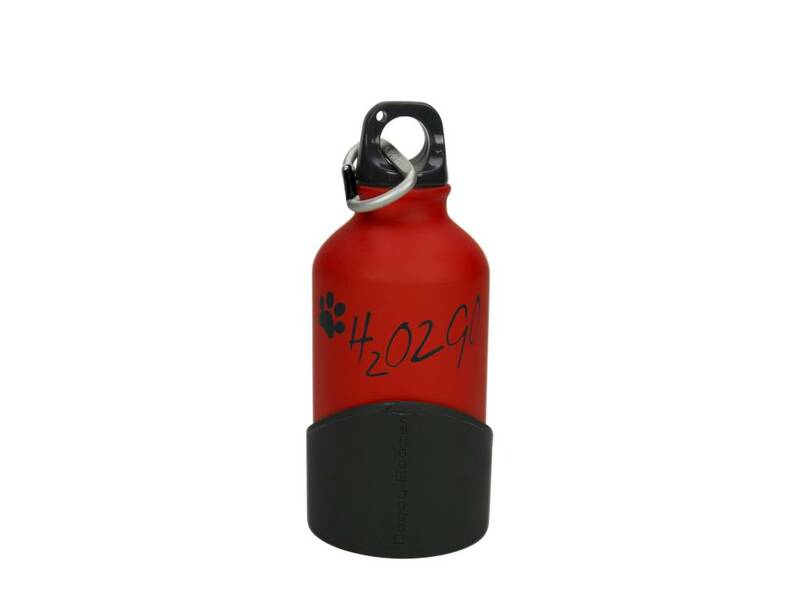 The drinking bottles are beautifully designed and allow you and your dog to enjoy the same bottle separately. The bottle has a detachable drinking bowl for the dog! As a result, the bottle opening always stays clean for self-use.